In chapter 3 I read an interesting passage about dark adaptation. The book talks about the show Mythbusters on the Discovery Channel. The Mythbusters wanted to investigate why all pirates wore eye an patch. 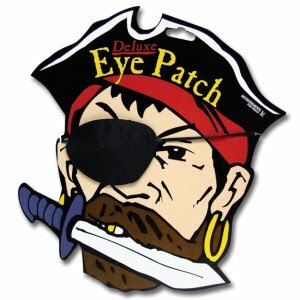 Was every single pirate in the world injured in their eye and needed a patch to cover up their injury? Or were the pirates using dark adapation? The Mythbusters decided to experiment and carried out tasks in a dark room just after their eyes had previously been in light and did some different tasks with an eye that had just perviously been covered with an eye patch for 30 minutes (Goldstein,2010). The Mythbusters found that it was easier to do tasks with the eye that had been patched like the pirates. The eye patch works and it can be attributed to dark adaptation, which increases eye sensivity in the dark. The pirates were smarter than we thought! When pirates would go from bright light outside to the decks below their eye that had the patch was well adjusted to the darkness making it easier for them to do tasks in the dark. I find this quite fascinating.